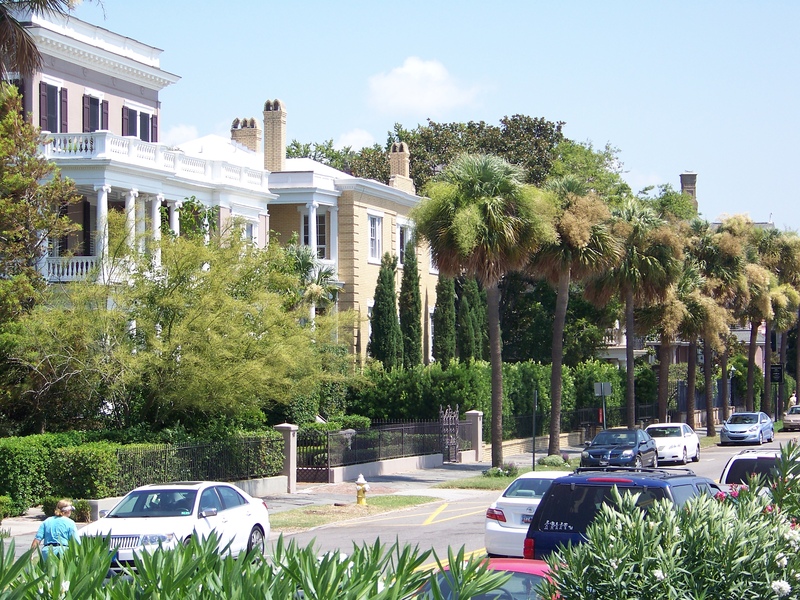 Taking a walk in the historical section of Charleston…so beautiful! As I mentioned in my last post, my husband and I took a guided tour of Charleston, SC soon after we arrived. This turned out to be one of the most helpful things we did as we sought to understand the city and its historical culture and traditions. After our tour we set out on our own over the next several days to discover the city, its grace, and its charm, for ourselves. The very first thing we noticed was how politely we were treated by everyone we met. Everyone we encountered was not only polite, but also very helpful to two Mid-westerners who certainly did not know their way around town. The first day we ventured out on our own we encountered a terrific rain storm. It was close to lunch, and we ducked into Magnolias-Uptown Down South Restaurant. After ordering our lunch, the waitress told us we could stay as long as we needed to, until the rain stopped. We were very grateful…and sitting there moved us to order dessert, a win-win situation! As we have traveled around the country, we have found that we enjoy eating in the very nice restaurants for lunch as well, if not more, than at the dinner hour. The lunch portions tend to be a little smaller and the prices a little lower for the same menu items offered later in the day. One afternoon we stopped into Husk, the restaurant owned by award-winning chef, Sean Brock. I had the most delicious dish of shrimp and grits, something I had never had. Grits is now a staple item in my kitchen and a versatile item to have when trying to find a side dish that is different from the typical potatoes, rice, or noodles. 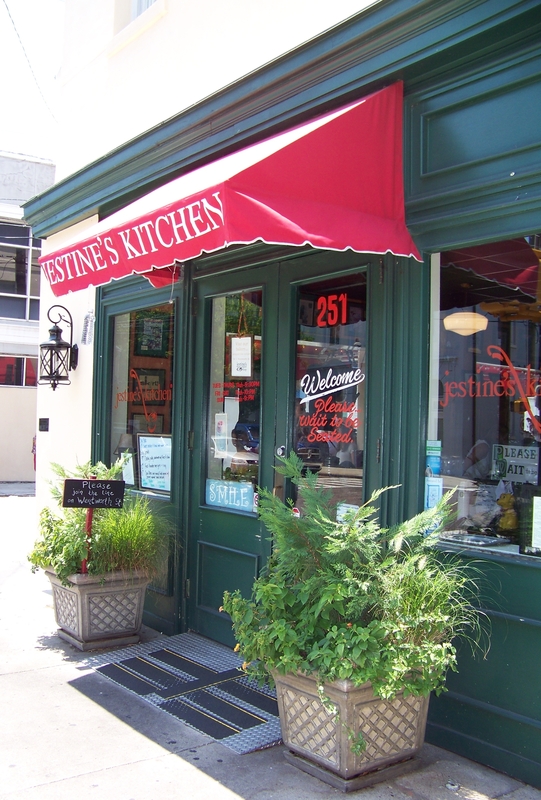 Jestine’s Kitchen is also a must when in Charleston, but prepare for the line–it can be very long! While on a cruise to Fort Sumter National Monument, we noticed that the skyline of Charleston lacks the typical tall buildings of larger cities. We discovered that this is because the city of Charleston has height restrictions on its buildings. No building can be taller than the tallest church spire in the city. While this makes for an unusual skyline for a large city, it is charming, graceful, and beautiful. The skyline of Charleston as seen from the tour boat to Ft. Sumter National Monument. An interesting architectural design in the historical district of the city is the “single house”. It is a structure that is one room wide and two rooms deep. The single room width faces the street side. The two room length runs perpendicular to the street. These homes can also be three rooms deep. They are at least two stories high. The front door of a single house, which faces the street, does not open into a room, but rather onto a porch or “piazza” which also runs the length of the house and opens into each of the rooms. It is actually an open hallway. These piazzas generally face west or south to have the advantage of the cool breezes coming off the ocean, invaluable to residents before the age of air-conditioning! 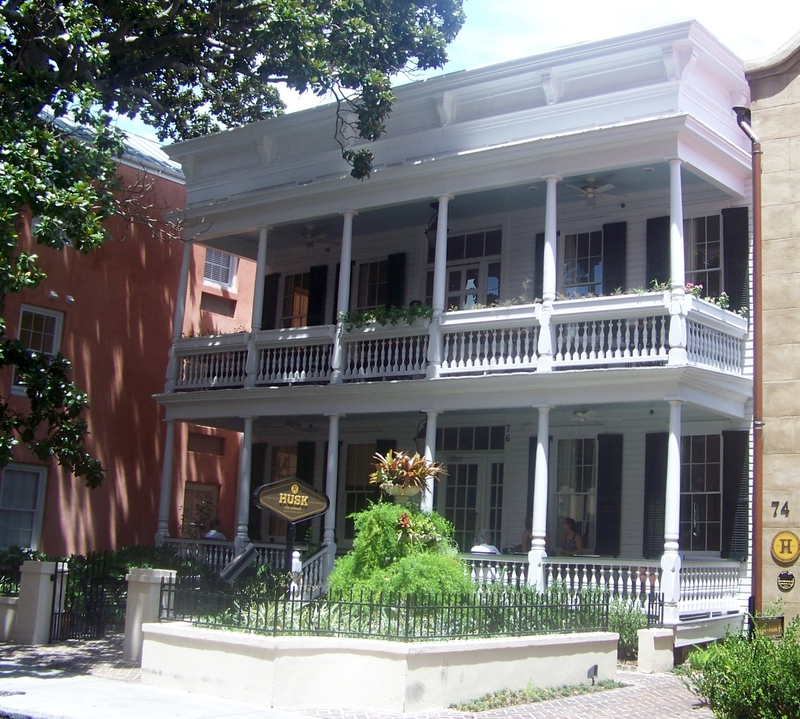 A “single house” in Charleston. The very first game of golf played in the United States was played in Charleston. 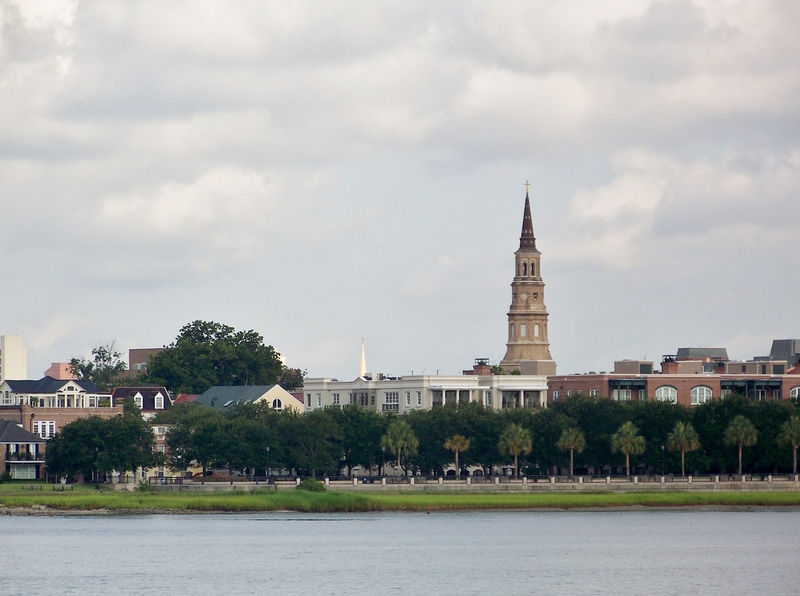 Because of its many church steeples, the residents of Charleston call their city the “Holy City”. Have you ever wondered why the pineapple is a symbol of hospitality? Years ago, a sea captain would put a pineapple on his fence post as a sign that he was home and willing to welcome neighbors for an evening of eating and visiting. The Arthur J. Ravenel Jr. Bridge across Charleston Harbor is the longest cable-stayed bridge in North America. The Arthur J. Ravenal Jr. Bridge crosses the Charleston Harbor from Charleston to Mt. Pleasant. 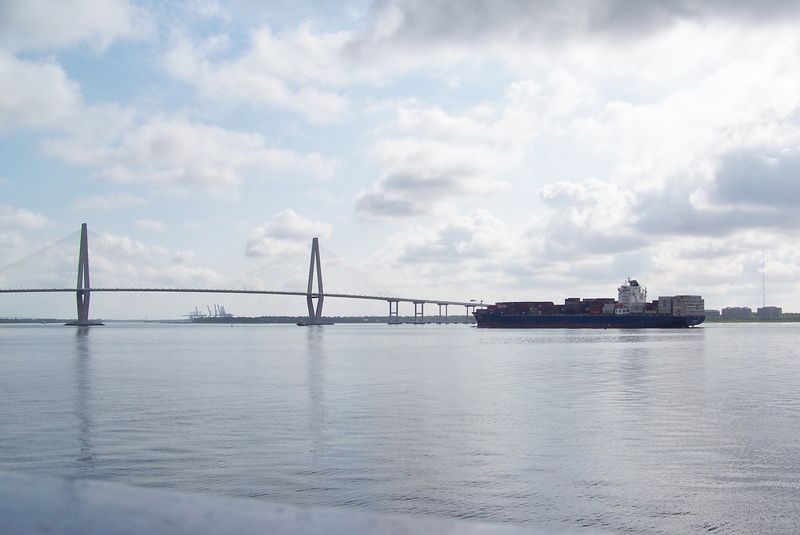 Charleston is now the seventh largest container port in the United States. Just six miles north of Charleston, in Mt. 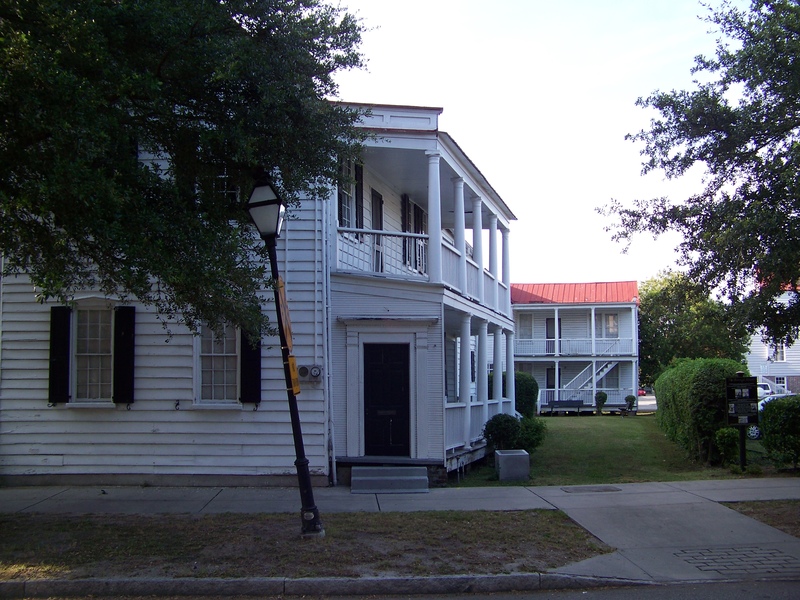 Pleasant, is the Charles Pinckney National Historic Site. 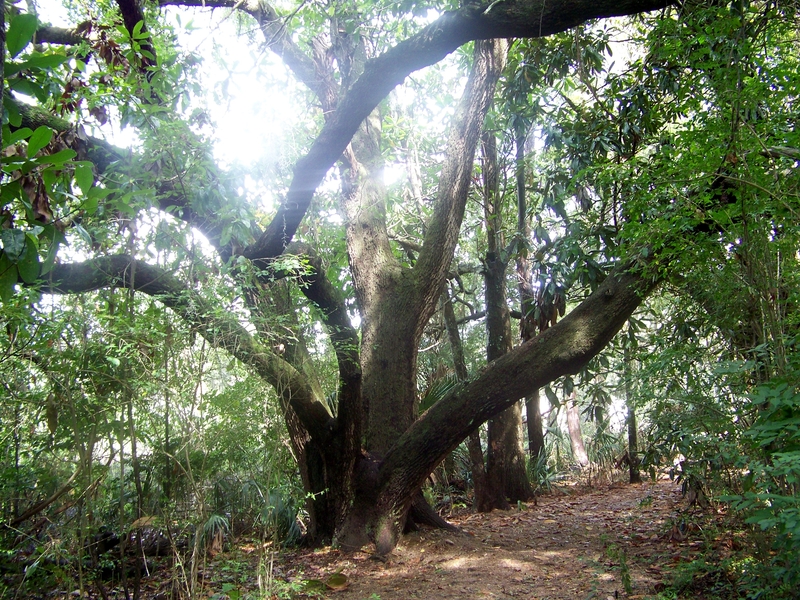 It consists of 715 acres of a plantation called Snee Farm which are being preserved by the National Park Service. It is a piece of the Pinckney Plantation and is dedicated to his life and service to our country. The park strives to teach us something about the life of this American statesman, an author and signer of the Constitution. It also explains plantation life in the Lowcountry for the plantation owners and their families, as well as the many slaves who worked there. A circa 1828 Lowcountry farmhouse which serves as the Visitor Center at The Charles Pinckney National Historic SIte. 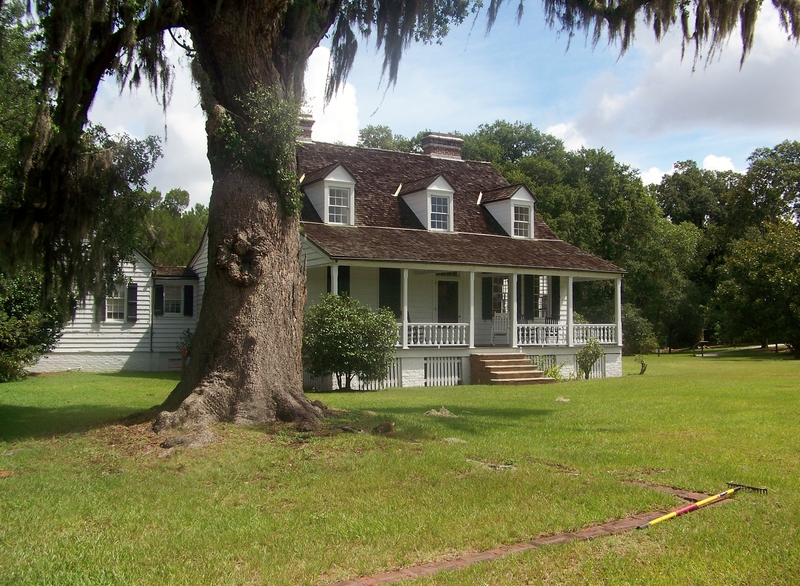 A 1/2 mile walk runs alongside the farm house at the Charles Pinckney National Historic Site. Rice and indigo were grown on the Pinckney Plantation. Some of the exhibits strive to explain how rice was cultivated. There is a rice trunk on the property with a sign to explain its use. It reads “…rice trunks were used to flood and drain rice fields. To flood a field, the gate on the river side was raised while the other was lowered. Water flowed into the field through the trunk at high tide. To drain the field, the gates were switched and water would flow out at low tide. Enslaved Africans brought this technology with them from the ‘Rice Coast’ of West Africa.” It is a beautiful and pleasant place, one worth visiting on a trip to Charleston. You can find out more about the plantation at http://www.nps.gov/chpi/index.htm. A replica rice trunk used in cultivating rice in the plantation era. 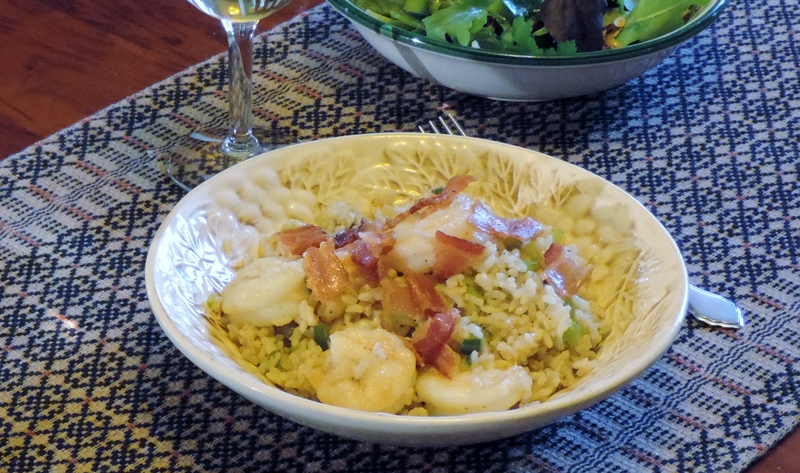 There are so many great recipes for rice dishes that come from the Lowcountry. Traditionally they were made using Carolina Golden Rice. Rice from Madagascar was first introduced to the American continent in 1685, when a sea captain sought safe harbor during a storm. He gave a bag of rice to Henry Woodward, who planted it and found it grew very well in the Lowcountry soil and climate. Carolina became the largest rice producing area in the land. Its dominance waned only after the Civil War ended and plantation owners found themselves without enough workers in the field. Storms also helped bring an end to the successful business of growing rice in the Lowcountry. Today, farmers are once again growing quality rice in the Lowcountry and it is available for purchase on the Internet. The recipe in this post was inspired by one I found in a cookbook entitled Charleston Receipts, a collection of recipes by the Junior League of Charleston. It was originally written in 1950 and is said to be the oldest Junior League cookbook in print. It is published by Favorite Recipes Press and is available on the Internet. Fry the bacon until crisp and crumble into small pieces. Set aside for use as a garnish. Cook rice by any method you would like. Traditionally, the rice is steamed and you can find directions for steaming rice at http://www.ehow.com/how_6100608_steam-rice-cooker.html. Dredge the shrimp in a mixture of the Gullah seasoning and flour. Melt the butter in a Dutch oven and add the celery and the bell pepper. Saute for several minutes. Add the shrimp and cook until the shrimp are pink, about four minutes. Season with the salt and pepper. Add the cooked rice and mix thoroughly. You may want to add a tablespoon of water if it seems too dry. Serve in bowls and garnish with the crumbled bacon. Makes 3 to 4 servings. Charleston is a charming and beautiful city, well worth a stay of several days, and the food is incredible. I hope you make a trip to this graceful southern town, stroll its gorgeous avenues, taste its wonderful food, and learn a little about its rich history. Learning the history of individual spots in our country helps us better understand our nation as a whole and how we have become who we are. In my next blog post we will take a trip on the tour boat out of Charleston and visit Fort Sumter National Historic Site. We will also try some “army” food. In 2012 Jim and I spent four days in Charleston, SC. What a beautiful city, so steeped in history and southern culture. The wisest decision we made about our visit to Charleston was to take a tour of the city with a guide to introduce us to, and help us better understand, the history of the city and its culture. This tour also made it easier for us to decide what places we would visit on our own and helped us appreciate the importance and relevance of the sites we saw just in passing. It made all our visits more meaningful and encouraged me to read and learn more about the history of this area of America. I highly recommend anyone who is visiting Charleston for the first time to take advantage of one of the city’s many guided tour options. The experience will greatly enrich your stay and your understanding of the area. Before we leave on any trip, it is generally planned out to the most minute detail, thanks to my husband. However, as well mapped out as any of our journeys ever is, we often find something unexpected along the way, which becomes one of the highlights of the trip. Our unexpected surprise for this trip was an introduction to the Gullah culture of the Georgia and South Carolina Lowcountry. The Gullah people of the South Carolina and Georgia Lowcountry are descendants of African slaves brought to the area to work on the rice and indigo plantations of the coastal plain and the Sea Islands. By the 1800’s there were thousands of acres covered with rice fields in the region. 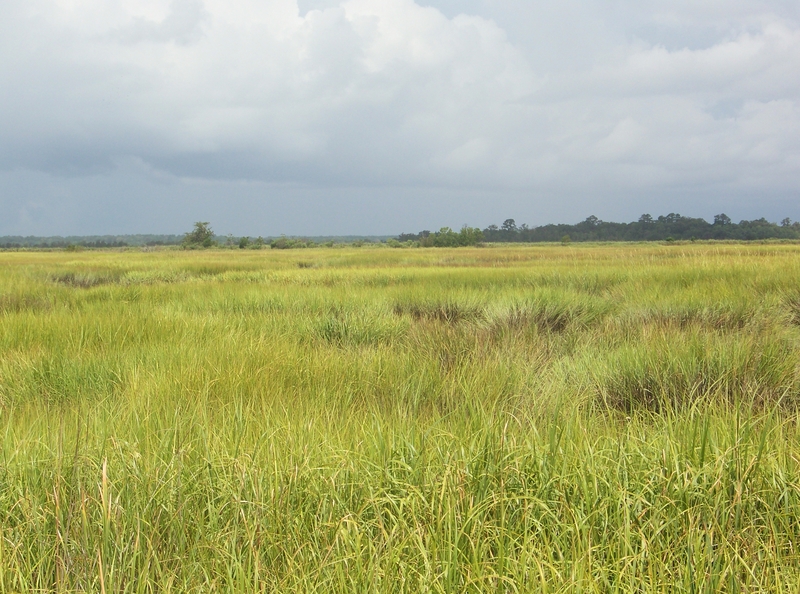 The Gullah people are believed to have come from areas around Sierra Leone and Liberia where rice was a major crop. As a result, these newly arrived slaves were well able to tend rice fields like those they left behind in Africa. The people of the Gullah community today still practice many of the cultural traditions of these West African nations. The Lowcountry, with its hot and humid summers, acted as a breeding ground for disease bearing insects. To avoid such things as malaria, the plantation owners and their families moved inland during the hot summer months. They left the caring of the rice fields in the hands of the slaves. Living and working on the plantation without the white owner families gave the slaves the chance to continue practicing their own traditions. They were able to instill these customs and traditions in the lives of their children. They also perfected the farming skills they had learned in their native land. These African slaves also created their own dialect, a combination of English and Creole with a native African slant. Some time ago the New Testament was translated into the Gullah language. Below is John 3:16 translated into the Gullah language. The Gullah people created their own cooking style from the traditions and customs of their native land. But their cooking was also dependent on the foods that were available to them in their Lowcountry home. They cooked simply, with ingredients they had. They created wonderful flavors, not by use of recipes, but by trial and error…by finding what tasted good. They discovered that spices would make a dish taste good, even when made from very simple ingredients. I will talk more about the Gullah people and their life today. But first let’s take a look at some really good pork chops cooked in the Gullah tradition. While we were in Charleston, I bought a cookbook of Gullah recipes. One of our favorite dishes from the book is for Gullah Fried Pork Chops. What makes these pork chops so good is the seasoned rub used to coat them before frying. While the book does give information on ordering a Gullah seasoning, I was able to find several recipes for it on line. The one I chose was simpler than most, relying on things I already had in my pantry. I did not want to have to go out and buy a whole bag full of spices I would not use up very quickly. Mix all the ingredients together. This seasoning can be stored in a tightly closed container for up to three months in a dark place, or in the freezer for up to a year. Gullah Pork Chops…so very good! Rinse the pork chops and pat them dry with a paper towel. Season each pork chop with 1 tsp. of the seasoning. Take a little time and gently rub the seasoning into the meat on both sides. Cover with waxed paper and let sit for 10 minutes. Heat the vegetable oil in a large skillet. Combine the flour and 1 Tbsp. of the seasoning. Dredge the chops in the flour mixture, shaking off any excess. Place into frying pan and cook on medium heat for 10-15 minutes until the chops are golden brown on both sides. Drain chops on paper toweling. This recipe is adapted from The Ultimate Gullah Cookbook, by Jesse Edward Gantt, Jr. and Veronica Davis Gerald. It was published 2003 by The Gullah House Foundation. 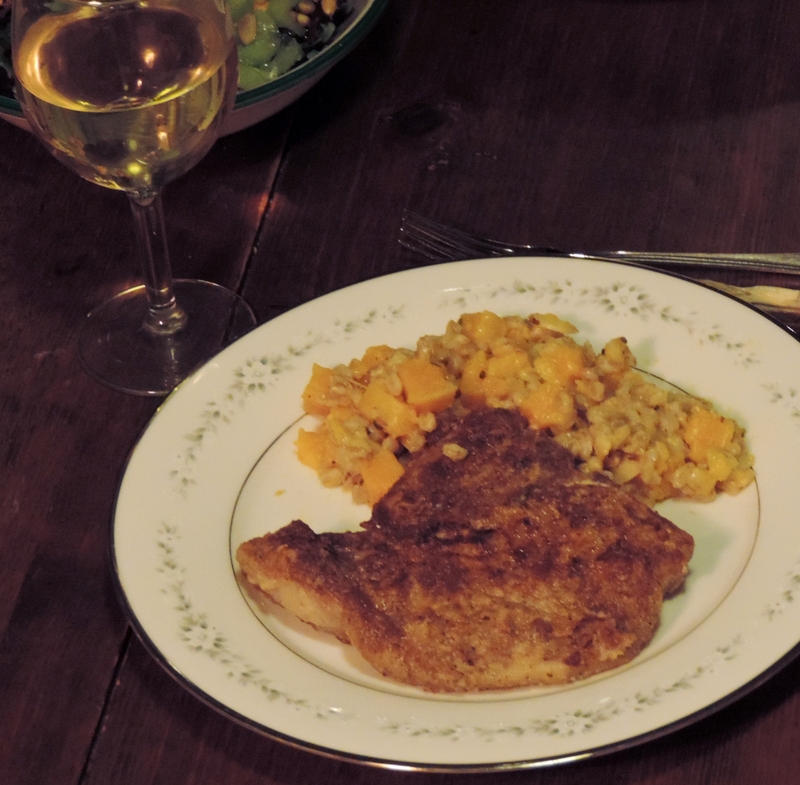 I served these delicious pork chops with a farro and butternut squash risotto. It is a great dish to serve as a meatless main course, but it worked wonderfully with the Gullah pork chops. You can find the recipe for Farrotto with Butternut, Gruyere and Hazelnuts at http://www.myrecipes.com/recipe/farrotto-butternut-gruyere-hazelnuts-50400000118577/. The traditions of the Gullah culture continue today in the lives of the descendants of the African slaves brought here many years ago to work the plantations of the Lowcountry. We find their musical traditions in songs like “Michael Rode His Boat Ashore”. We find their cooking traditions in cookbooks and in various restaurants of the Charleston area. And we find their art in the sweetgrass baskets the women of the Gullah community still make today. You will find these women on many Charleston street corners. 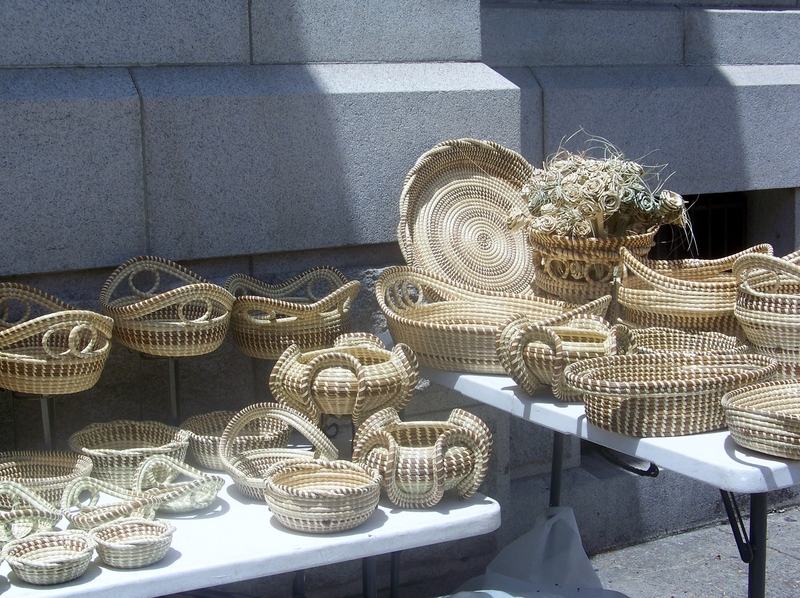 You can watch them weave their beautiful baskets in addition to purchasing one of the many they have on display. I bought a small one and use it often. A sweetgrass stand on a street corner in Charleston. One of the greatest challenges for the Gullah community is their fight to save some of their traditional lands on the Sea Islands. Commercial and tourist development on the islands threatens these areas and the Gullahs have begun to take their cause to court. 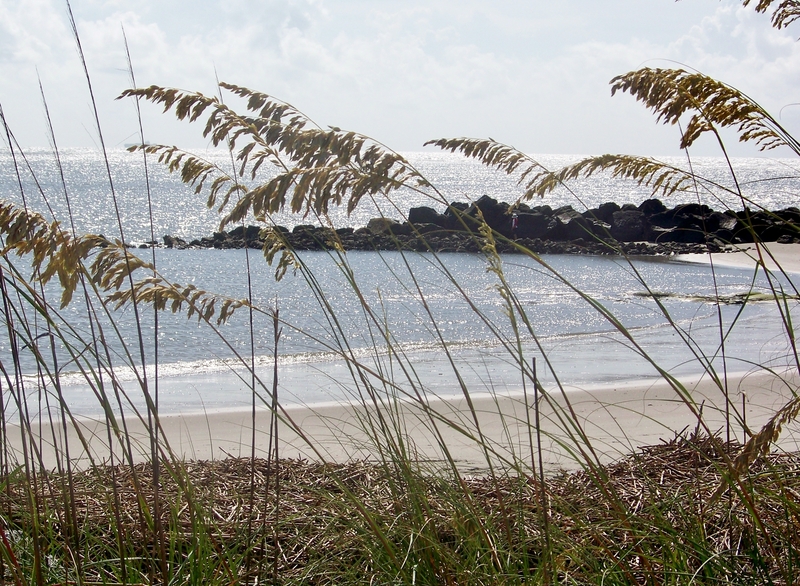 You can learn more about the Gullah culture, their ancestral lands and culture by visiting the Gullah/Geechee Cultural Heritage Corridor site at http://www.nps.gov/guge/index.htm. In my next post, we will return to Charleston, its own special traditions and its own special culture. 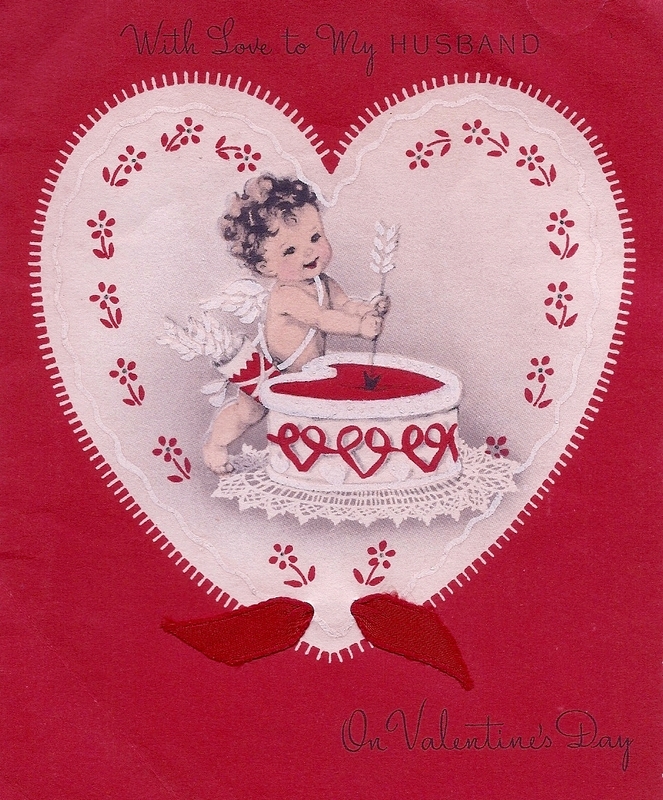 A Valentine card sent by my mother to my father in the 1940’s! 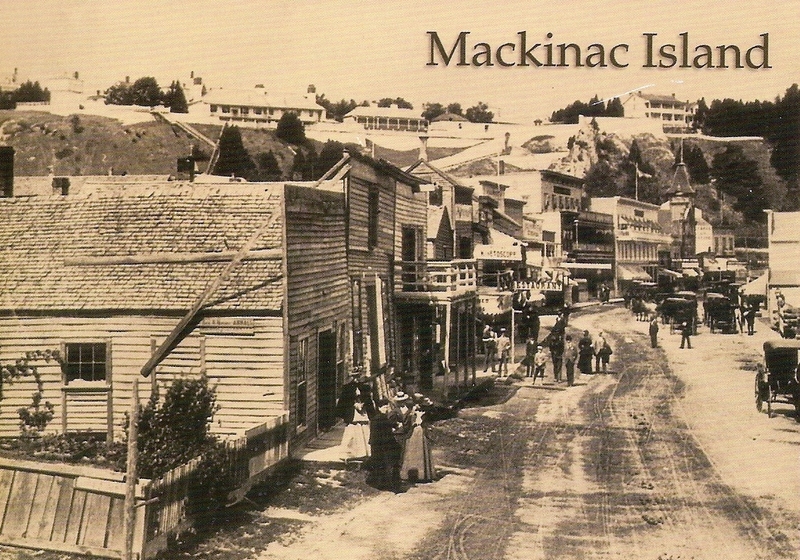 Mackinac Island had been a major fur trading location in the eighteenth century. Fur traders and Indians from the area lived and worked together for decades under both French and English occupations. 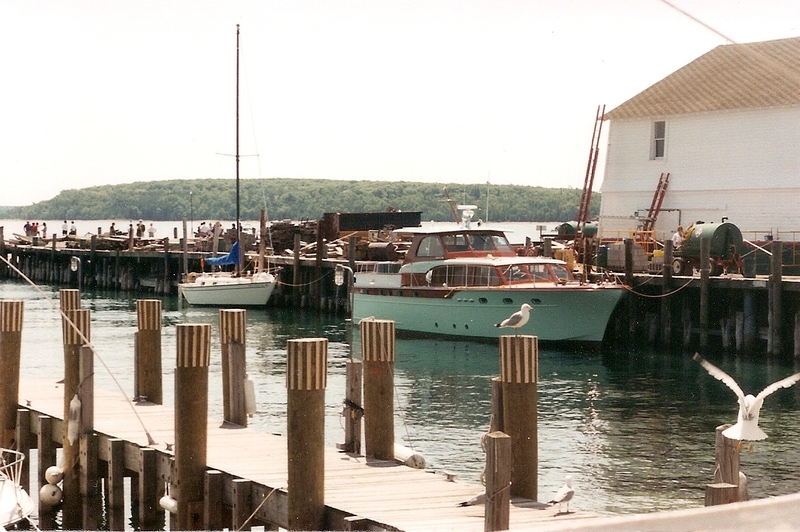 Following the decline of fur trading and the fishing industry that had also thrived on the island, Mackinac Island became a popular resort area. At first, the Native Americans of the area provided candy for sale in the tourist shops of the island. The Odawa natives made the candy using maple syrup they had tapped from the many maple trees found in upper Michigan. The candies were delivered to the shops in containers made from birchbark, which the Native Americans called “mokuks”. These candies were also sent outside of the area on ships which traveled through the Great Lakes. In the late 1800’s, local entrepreneurs decided to make a candy that would be unique to the island, and Mackinac Island fudge became a staple in the tourist shops. Visitors loved the fudge that was made in big copper pots and poured out on big marble slabs. Fudge shops sprang up on the island and still thrive today. Mackinac Island fudge is indeed a treat and one you must have if you visit the island. In this post, I am including two recipes which I found in a small book I purchased the last time I visited Mackinac Island. The book is titled Mackinac Fudge Recipes. It is distributed by Penrod/Hiawatha of Berrien, MI, and can be obtained from them at http://www.penrodhiawatha.com. The first recipe is for “1890 Basic Fudge”. It is fun to read, though probably not feasible for most home cooks to make. Even though my family loves fudge, I am not sure what we would do with 35 pounds of the sugary confectiion! 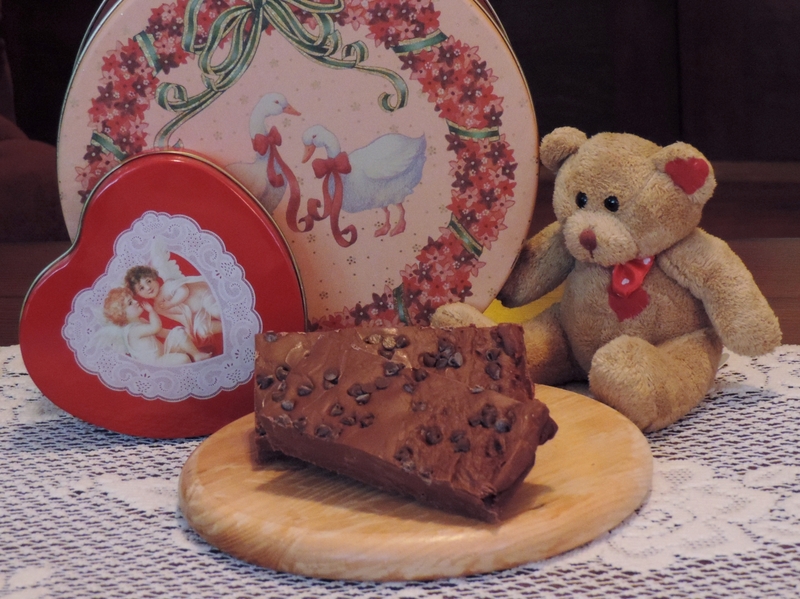 The second recipe is for “Double Chocolate Fudge”. Fill a copper kettle with the following ingredients to make a 35 pound loaf of fudge. Cook mixture to 230 degrees and pour onto a marble slab. Let this cool to approximately 96 degrees. Knead with a paddle or your hand for 8 to 10 minutes. The marble slab is useful in regulating the temperature. Perhaps you will try making some fudge for someone you love for Valentine’s Day. Double Chocolate Fudge is what our nineteen Valentines, living across the country, will be receiving from our house this year! Melt the 2 cups of semisweet chocolate chips with 2/3 cup sweetened condensed milk, 1 tablespoon of milk or cream and 1 teaspoon of vanilla over low heat. You will need to tend it and stir constantly. Spread the mixture into a foil lined 9 inch square pan. In another saucepan, melt the milk chocolate chips with the remaining sweetened condensed milk, 1 tablespoon of cream and 1 teaspoon of vanilla. Remove from heat and spread this mixture over the fudge already in the pan. Sprinkle the remaining 1/4 cup of semi-sweet chocolate chips over the top, slightly pressing them into the fudge. Chill for 2 hours or until firm. Remove the foil from the fudge and cut into desired pieces. This will yield about 2 1/2 pounds of fudge. Fudge is best stored in the refrigerator. Wrap the fudge in waxed paper and then wrap it in aluminum foil. If you wish to keep it for up to 3 months you can store it, wrapped, in the freezer. Remember to always allow the fudge to come to room temperature before cutting it into serving pieces. You can reach Mackinac Island by ferry from Mackinaw City, in Michigan’s lower peninsula, or from St. Ignace, in the upper peninsula. 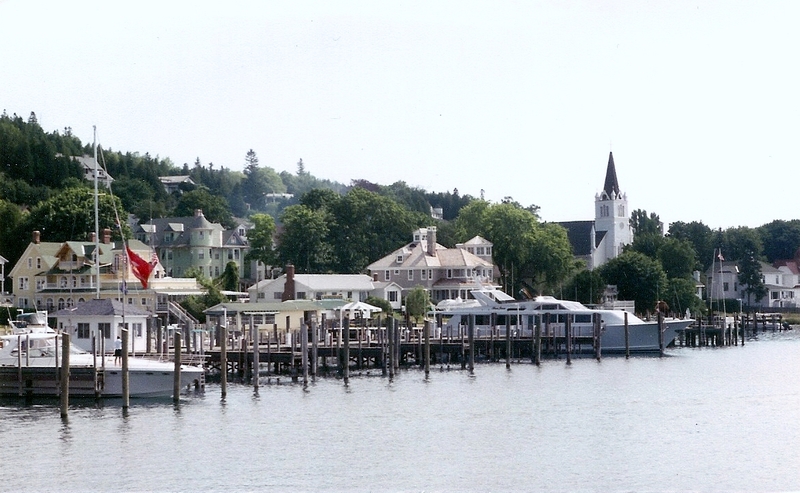 The ferry companies serving the island include Arnold Transit Company, Shepler’s Mackinac Island Ferry, and Star Line Ferry. No cars are allowed on the island, and once you arrive you can get around on foot, bicycle, or horse drawn carriage. There are several places to rent bicycles, and many opportunities to hire a carriage. Visiting Mackinac Island is like stepping back to another time with a slower pace–such a welcome break from our busy lives. When we visited the island, our family rented bicycles and we pedaled all the way around its perimeter. 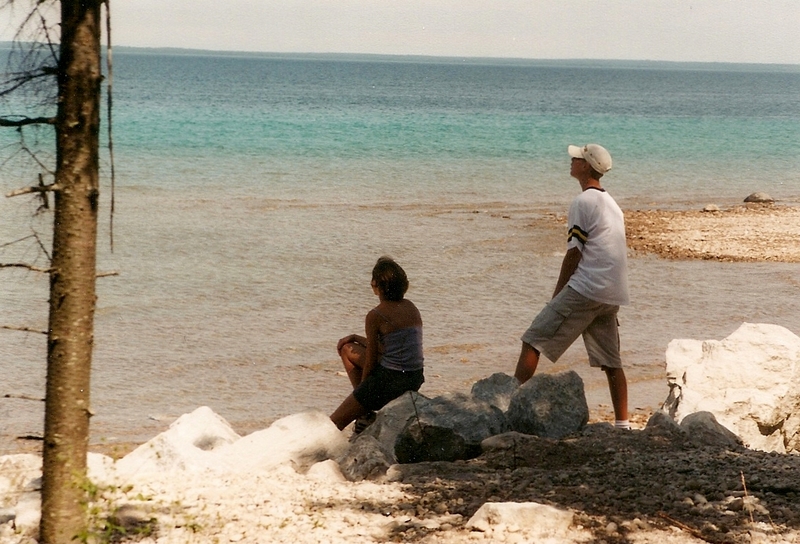 There were many breathtaking views of Lake Huron, providing us with many excuses to stop, rest and enjoy the sights. Without motor vehicles, the island is quiet and peaceful, encouraging a slower pace. 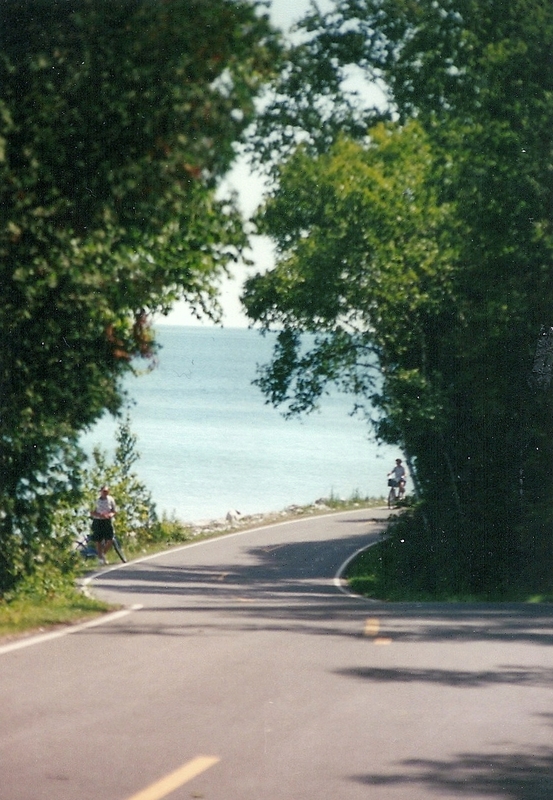 There are so many places on Mackinac Island to stop and enjoy the scenery. We stopped to see Arch Rock along the way, one of the most photographed sites on the island. 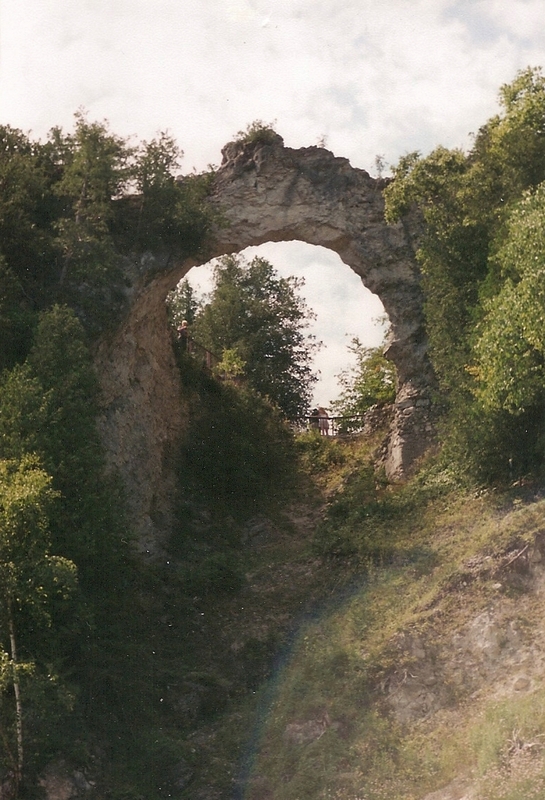 This limestone formation stands 146 feet above the Lake Huron shoreline. Arch Rock, on the shoreline of Lake Huron. Mackinac Island is also the home of Fort Mackinac, built during the Revolutionary War by the British. The British soldiers stationed at the fort were there to control the strategic Straits of Mackinac, separating Lakes Huron and Michigan. During the War of 1812, the fort became the scene of two battles. This historic site has uniformed guides who lead many activities to help visitors better understand a soldiers life and his work at Fort Mackinac. At the end of a long day of sight-seeing, shopping, and enjoying Mackinaw Island fudge, there are many great places to eat and just as many places to spend the night before returning to the mainland–and that much busier, hectic life. 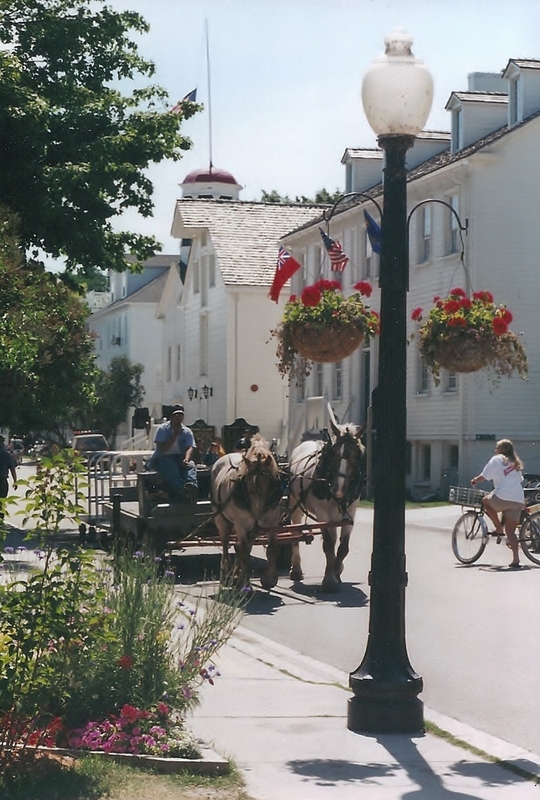 Enjoy a visit to Mackinac Island. You will want to go back, I promise!